Don’t you love that warm fuzzy feeling that doing good deeds, giving and volunteering give you? Well, it does more than just give you the good feels, research suggests that it also offers us health benefits. 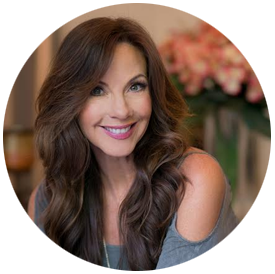 In the book, The Healing Power of Doing Good, Alan Luks and Peggy Payne set out to show how one’s physical health improves along with emotional well-being when we volunteer. They theorize about what they call the “helpers high,” similar to what runners feel when endorphins are released. 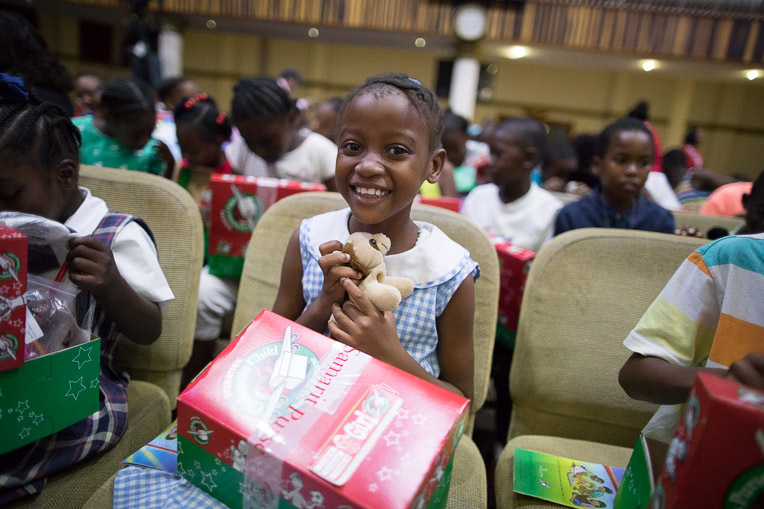 A lovely way to give back during the holidays is through Operation Christmas Child. Samaritan’s Purse International Relief is a non-profit organization that provides emergency relief all over the world to victims of disease, war, natural disaster and famine. 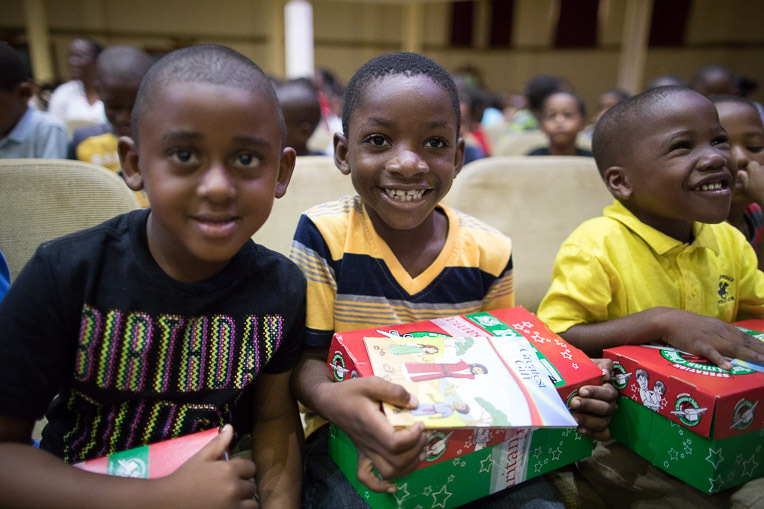 Operation Christmas Child has been distributing gift filled shoe boxes to underprivileged children in over 130 countries for nearly 2 decades. Samaritan’s Purse was named one of CNBC’s top 10 charities changing the world! It’s really fun to put the shoe boxes together, takes very little money, and truly means a lot to the children. Put yours together this weekend, National shoe box collection week is next week: November 13 – 20. Visit their website, choose a gender and age group and fill a shoe box. They have instructions on their site with a list of suggestions on what to put in the boxes, things like small toys, markers, note pads, candy, even a toothbrush; or you can order materials. They make it easy, all you do is pack the shoe box and take it to a local drop off station and they send them off; find one close to your home here. You can also make a direct donation or build a box on their site. Get your kids involved. I love putting the shoe boxes together and my kids have fun helping me choose the goodies to fill them with. It’s important for my kids to see that not everyone is as fortunate as they are. Doing charitable helps kids become caring well-rounded individuals, particularly in the world we live in. « You’re Aware, Aren’t You? 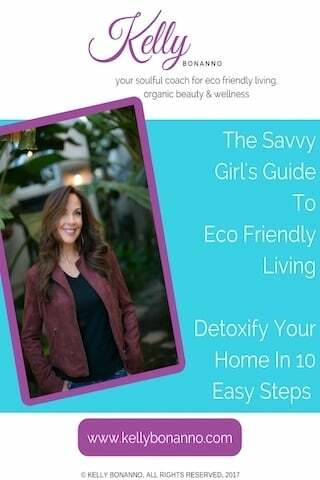 Let’s Focus On Prevention ✳︎15 Things You Can Do To Prevent Breast Cancer✳︎ Plus a FREE Checklist Included!